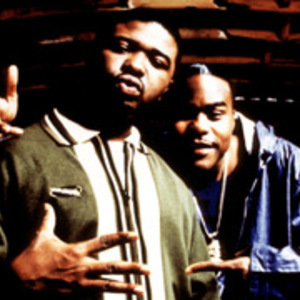 Together, they made several albums in the late 1980s and early 1990s to little popular appeal, though their second album (Ain't a Damn Thing Changed, 1991) was a commercial success that included a minor hit in "Sometimes I Rhyme Slow". "Hip-Hop Junkies", which featured a sample from The Partridge Family's "I Think I Love You" was also a hit, and once performed live on Keenan Ivory Wayans "In Living Color". They are known for their humorous rhymes and catchy hooks. They often appeared as guest rappers on albums by the Beatnuts, Gang Starr and Tony Touch among many others. Tupac Shakur was intending to sign Nice & Smooth to his Makavelli label prior to his death.